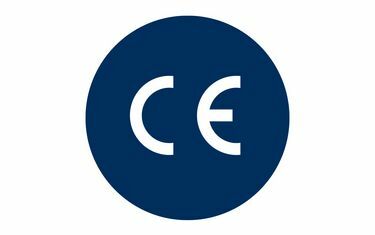 With effect from 1.7.2013 and in accordance with the new Construction Products Regulation (CPR), all products complying with harmonised European standards and intended for sale on the internal European market have to be CE marked and accompanied by a Declaration of Performance (DoP). In the field of locks and hardware products, the CE-marking concerns only products used in escape and rescue routes or products meeting the requirements of fire and smoke protection. The documentation accompanying the products contains the respective Declaration of Performance (DoP). This DoP has a unique number such as, eg, 0001-CPR-GU-BKS-FERCO-L or -K. The -L version is the detailed long version, containing all significant performance features. The -K version is the short version of the DoP, which is often used for logistical reasons. You can download the DoPs here. The clearance certificate in accordance with the REACH regulation is also available for download. Download the declarations of performance for GU Group window technology free of charge. Download the declarations of performance for GU Group door technology free of charge. Download the declarations of performance for GU Group automatic entrance systems free of charge. The valid Environmental Product Declarations (EPD) can be obtained from the FVSB (German lock and hardware industry association).